Packaging is not simply a means to an end, but instead, a valuable opportunity to connect customers to brand identity. The trendiest and most social media shareable packaging has now become a focal point for advertising and marketing strategy. Organizations are integrating unique and creative packaging into impactful digital marketing campaigns. While it’s evident that a cool & creative packaging is a worthy investment, a custom design can quickly become a costly undertaking. Finding a balance between communicating your brand through packaging and managing your budget can be difficult – especially if you don’t know your options on the cost of packaging. Here are some creative packaging design ideas that are sure to impress and, surprisingly, won’t break your budget! Don’t underestimate the power of the classic structures. Though it’s considered to be one of the most popular and most affordable packaging options, you can still make it into a creative and interesting packaging strategy, that can quickly capture a customer’s interest. With a simple Reverse Tuck End, Straight Tuck End or Seal Send structure, you can choose to add a special die cut for a nominal cost. Simplicity goes a long way but with the correct execution! Take the Fit Buns packaging for example. The box is a standard paperboard straight tuck end structure with full-color printing and a special die cut. Surprisingly, this is not as costly as you may think! It only looks costly because of the effective execution of the branding and artwork. For only adding about 5 – 10% to your production cost, you can include a custom printed design to the inside of your box. 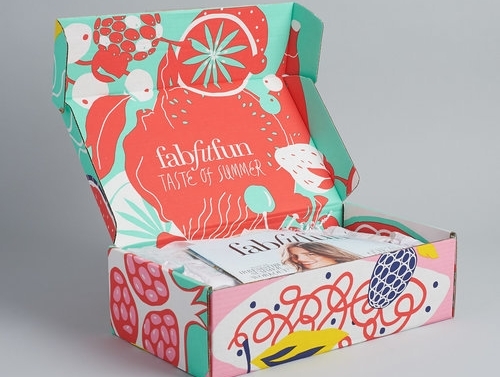 With the growing popularity of sharing unboxing experiences online, a personalized design inside your package is a cost-effective way to leave a striking and lasting impression. There is nothing like a printed pattern to showcase a sleek and minimal brand design. Don’t be fooled by its luxurious appearance! Printed patterns can be achieved with Offset or Digital printing with Full-Color CMYK. What does that mean? No additional cost required! You don’t need PMS Color nor any special paper & ink to achieve this look. You just need to make sure your artwork executes well with your brand to make the patterns look impressionable. Sara Shumpert Dunn, Managing Director of The Packaging School, suggests that we should “leverage digital printing to rapidly innovate our packaging and personalize it as consumer trends shift”. This makes a lot of sense since digital printing typically costs less than offset printing but digital provides a brighter future and trajectory for the printing & packaging industry. But offset provides a better quality output, no? John Kalkowski, Editor-in-Chief of Brand Packaging mentions that he recently saw “HP’s latest C500 Pagewide Digital Press for offset quality, large format postprint printing on corrugated…with a few only installed so far”. This means that offset quality with our digital printing technologies is increasingly becoming more possible and we may no longer require the long process of lithographic printing in the future. To save cost on your corrugated/e-commerce packaging, opting for digital is the way to go! You’ll save tons of fees (from setup and tooling in offset) and typically provides a faster turnaround time. Introducing a custom printed packaging sleeve is a smart and unique way to present your boxed product to customers. This cost-efficient design can be used for any product and can be personalized to facilitate the brand experience. A drawer or slider sleeve can highlight branding and unique design, in addition to heightening the unboxing experience, for a fraction of the price a complete custom box would cost. If your company is not only keen on being cost-efficient but being eco-friendly as well, then going with box sleeves is one way to hit two birds with one stone. Because sleeves don’t compromise a box’s structural integrity, customers can reuse packaging, instead of throwing it away. Selling food or perishable goods? You can cut costs with custom sleeves because it would allow you to opt out of additional paper or cardboard materials. It costs less compared to a regular full-sized packaging but allows you to be as creative as you want. Not long ago, (hot) foil stamping was more expensive because of how labor intensive the process was. Today, most packaging and printing companies offer a variety of foil stamping options, making it cheaper than it was before. Typically for high quantity orders, if you add additional options, such as foil stamping, spot UV and embossing, the cost would only increase about 10-15% of your full production cost. Therefore, you can create extra embellishments to your brand packaging to increase its value, without having to pay a high price for it. You can choose contemporary, modern, luxurious, striking, or patterned designs – whatever you deem fit for your product and brand. Whether you’ve chosen a fully customized box, or have opted for a standard box with a printed logo design, adding customized interior elements to your packaging will create a fully branded experience for your customers. Since tissue paper requires thinner material and less waste, you can benefit tremendously with low material cost and a positive branding experience for your customers. Adding an insert is also a creative way to extend an unboxing experience. Including a pre-printed thank you note to your package also costs very little and adds a personal touch to each package. This personalized unboxing experience can leave a lasting impression on customers and influence future buying habits with your brand. In addition, these cards can also be a great way to remind customers of your social media channels and encourage them to share your product & packaging on their social media. Inserts and tissue paper additions allow you to develop a fully branded and unique unboxing experience, without investing in more expensive design options. Stickers are a versatile way to put customized finishing touches on packaged goods. If you’ve added tissue to your package, make your logo the first thing customers see when they open your box, by securing the tissue with a custom sticker. Like many other packaging items, sticker prices drop with higher print quantities. Cost depends on sheet or roll printing and size or shape. You can also use stickers to transform simple boxes into a specialty design. Create a custom look for less by adding stickers or your logo to the packaging interior or exterior. This is a great way to save on printed box costs but still give customers a unique brand experience. Packaging has become a vital part of the product. Never underestimate how powerful packaging design can be. In today’s competitive market, custom packaging is a tool to shape how customers think, see and talk about your product and brand in the future. Use our cost-efficient custom design tips to uniquely package your products and create striking impressions that leave lasting brand experiences.